With the recent news that tyre purchasers are willing to contribute towards disposal costs, prospects are looking good for tire recycling in New Zealand. 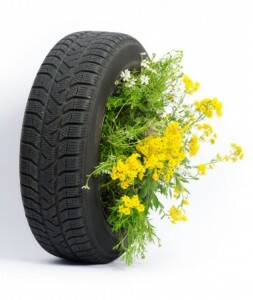 A Canstar Blue survey in August 2014 revealed that more than half of tyre purchasers would be prepared to pay a levy to assist in the environmentally friendly disposal of tyres; with the Tyrewise program advising that almost 4 million passenger tyres (and 1.2 million truck and other tyres) reach the end of their life every year, dealing with them in a responsible and environmentally considerate way is important. The Canstar Blue finding echoes a 2013 report by the New Zealand Institute of Economic Research, which estimates from survey results that New Zealanders are willing to pay an estimated $2.22 per tyre for recycling. Unfortunately that willingness to pay doesn’t always translate into action, with an estimated 67% of the tonnage of end-of-life tyres having an unknown end use. That may be due, in part, to the fact that the cost of disposal can be higher than the $2.22 figure. Wellington City Council, for example, advises a disposal cost of $4 per car tyre and $10 per truck tyre. Recent developments include the approval of a government grant of $27,225 for a tyre recycling operation in Otaki – an operation that “aims to recycle waste tyres into matting and other products”, and has been funded entirely by government money, in the form of the waste levy. According to Kāpiti Mayor Ross Church, “the grants process is one of the mechanisms that the Council uses to distribute Kapiti’s share of the National Waste Levy. “The ‘New Technologies and Seed Funding’ grants category seeks to encourage the establishment of waste minimisation businesses on the Kāpiti Coast and create opportunities for solid waste minimisation and economic development through innovative processes and technologies,” he said. Also promising is the recent discovery of a research team in Tennessee; that modifying the microstructure of old tyres could lead to the carbon in the tires becoming better anodes for car batteries. 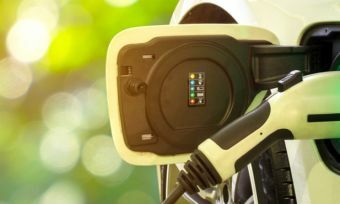 Tests done on batteries developed using this concept were found to have a reversible capacity higher than that of batteries utilizing commercial graphite, and after 100 cycles measured nearly 390 milliamp hours per gram of carbon anode, exceeding the performance of conventional car batteries.